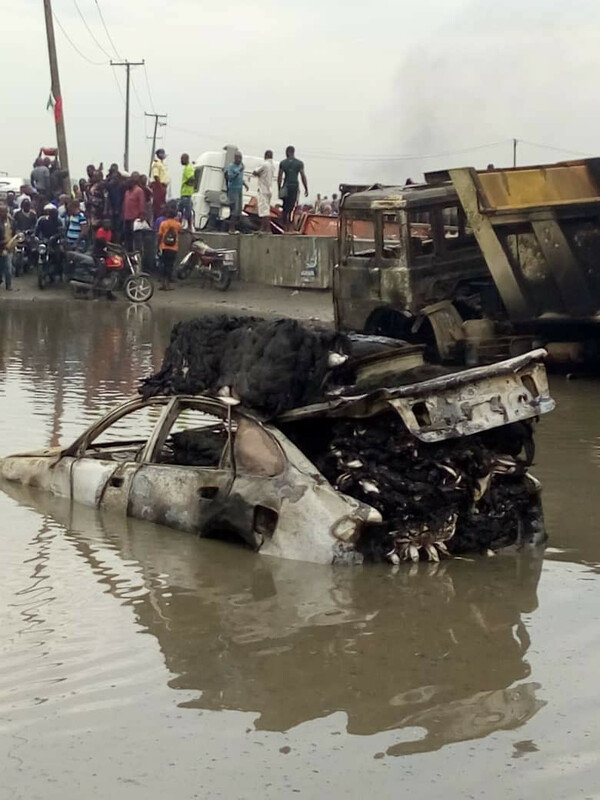 No less than three people have been reported dead and several cars burnt after a tanker fell and exploded at Ojo Barracks, along the Lagos - Badagry express road. 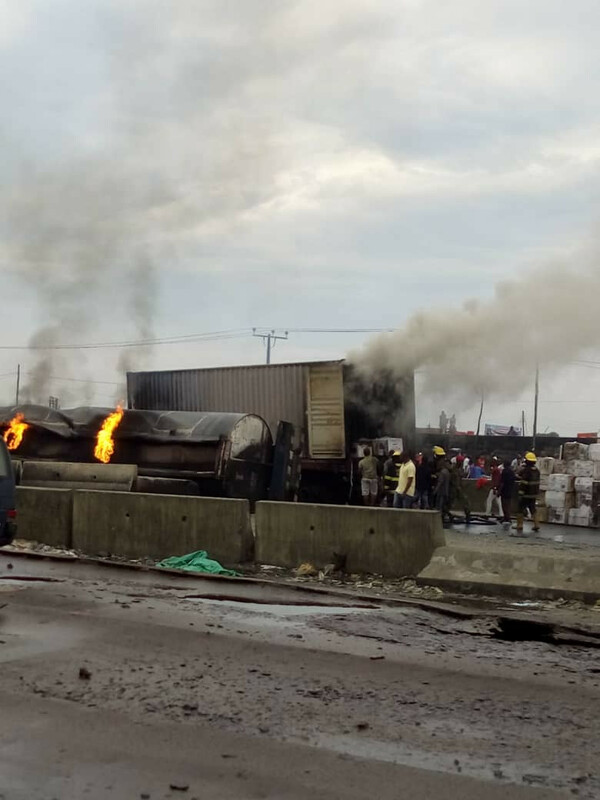 The horrific accident is reported to have happened in the wee hours of Wednesday, 30 January, 2019 at about 3 am, and despite the heavy rain that fell, the tanker was still on fire at the time of publishing this report. An eyewitness who on the matter, claims that more than 3 people died in the tanker explosion. A container carrying generators was also caught in the fire. Cars with businessmen's goods were burnt together with the contents. 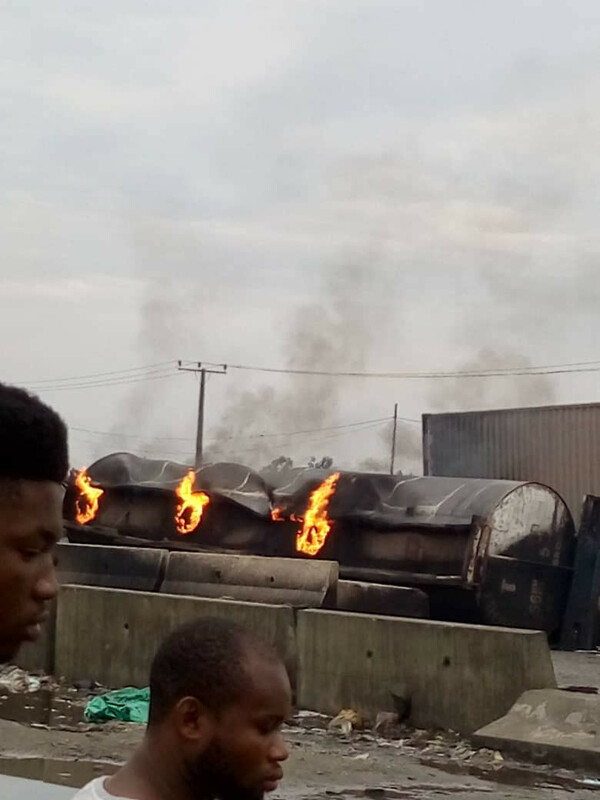 The eyewitness said: "One of the containers near where the tanker fell was carrying generators and they caught fire. "A car carrying cartons of fish caught fire too. "Some people got down from their cars and tried to escape the fire but rain fell and flooded the road and the water on the road was already too hot. Some of them fell inside the water and died." The source added: "I saw more than three bodies in the water. Some of them are inside the water so you can't see them well until you go close. "The tanker is still on fire till now, accident that happened since 3 and it's still burning."